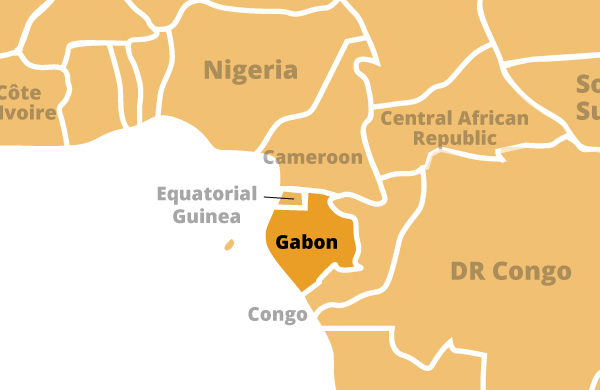 Gabon enjoys a per capita income four times that of most sub-Saharan African nations, but because of high income inequality, a large proportion of the population remains poor. Gabon depended on timber and manganese until oil was discovered offshore in the early 1970s. The economy was reliant on oil for about 50% of its GDP, about 70% of revenues, and 87% of goods exports for 2010, although some fields have passed their peak production. Living conditions in Gabon are generally better than in the rest of Africa. Two reasons for this are the abundance of oil and timber and the low population. There are no Gabonese people starving from drought or living in squalid refugee camps. However, there are many who live in temporary huts, who lack electricity and plumbing, and who do not have schools or medical facilities nearby. As in the rest of Africa, there is a drastic difference between rural and city living conditions.